SAN FRANCISCO (KRON) - Calling all fans of tulips! This Saturday, Mar. 2 is American Tulip Day. To celebrate, more than 100,000 tulips will be gracing Union Square -- and they're all up for picking! The "tulip garden" at Union Square will be open to the public at 1 p.m. and will close at 4:30 p.m.
You have close to 4 hours to pick your very own bunch to welcome spring. Access to the garden is free, and so are the tulips! It's all made possible thanks to Dutch flower bulb trader Royal Anthos, iBulb.org and the Consulate of General of San Francisco, who are transporting the tulips to the tourist center. The tulips were planted in America and produced from Dutch flower bulbs. 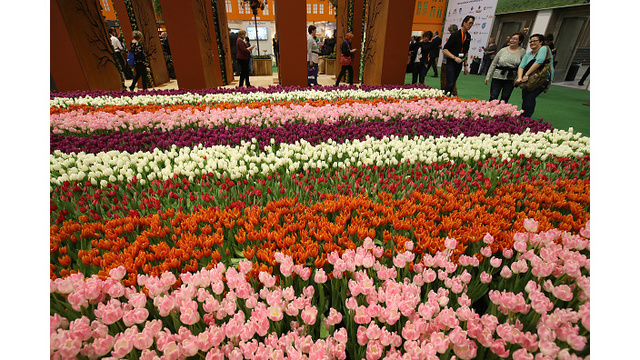 According to the American Tulip Day website, America is the biggest export market for Dutch-grown tulip bulbs -- about a half billion of them each year!